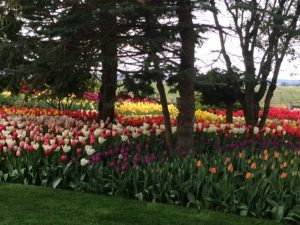 When March arrives we always look forward to April because the Skagit Valley, located just a short drive north of Seattle will be bursting with row upon row of colorful tulips. 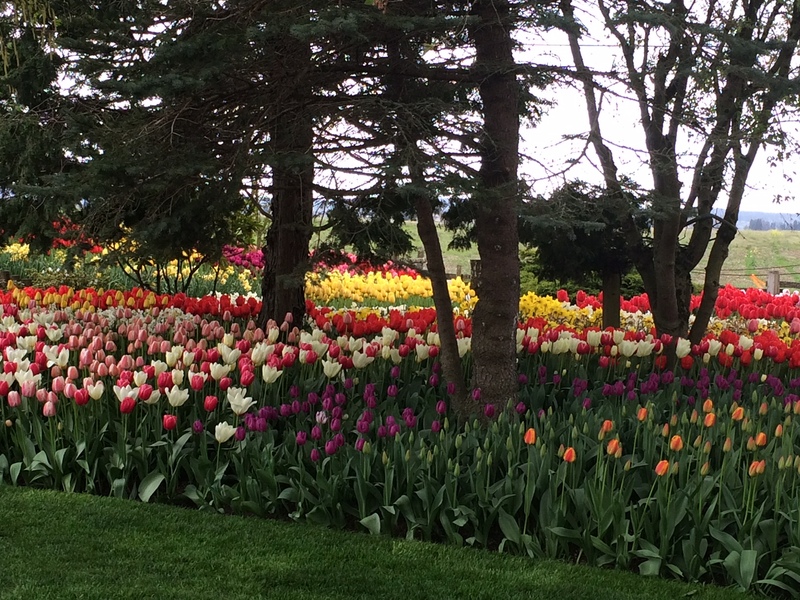 At the Skagit ValleyTulip Festival held during the month of April you can experience breathtaking tulip fields and display gardens at their best. Mother nature can play tricks on the blooming but you can easily check the bloom status at the Bloom Map and plan your trip according. 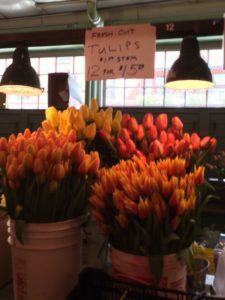 BUT if you find you’re short on time while visiting the Pacific Northwest you can always stop by the Pike Place Market and get a fresh bouquet to take home and enjoy.